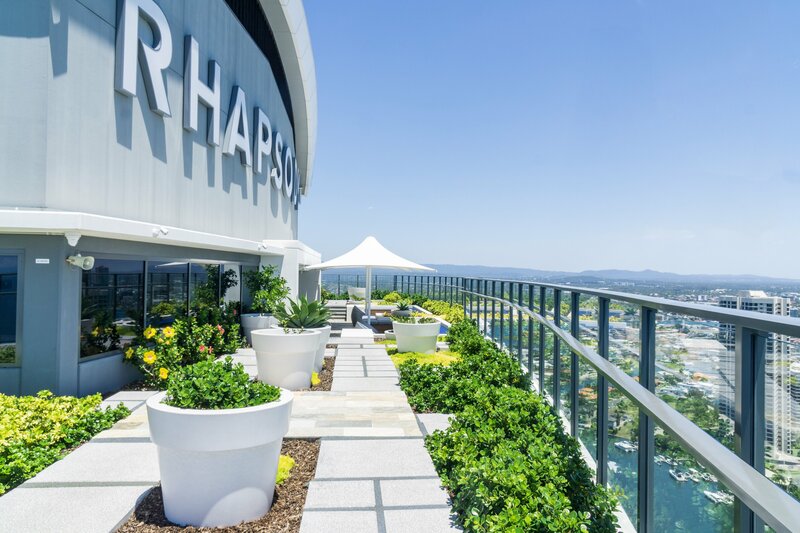 Your stay at Rhapsody Resort in Surfers Paradise will be a true resort style experience. Why not spend the afternoon by the swimming pool and spa or BBQ Terrace area. From there, it's just a few steps to the surf beach or just two tram stops to the nightlife and shopping of Orchid Avenue in Surfers Paradise and step off access to Pacific Fair shopping center. 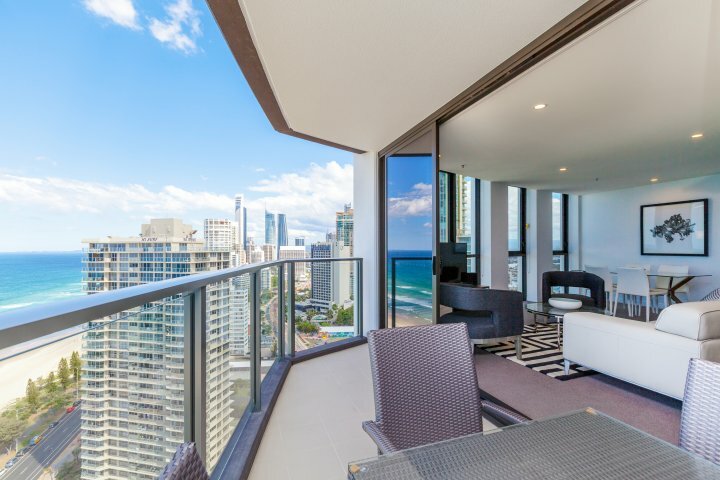 This apartment has dedicated living area and modern decor designed to complement breathtaking views of the Gold Coast hinterland to the west, Pacific Ocean to the east and Surfers Paradise City to the south. 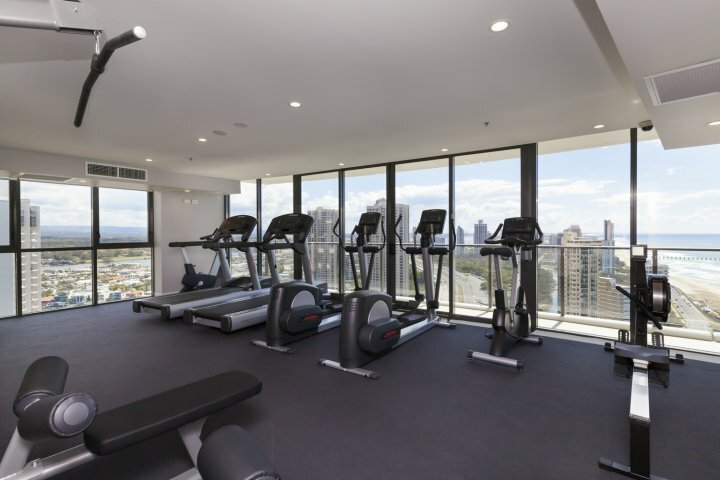 On level 27, you'll discover an exclusive facilities floor - the perfect place to workout in the gymnasium, entertain friends in the lounge or enjoy sunset cocktails on the terrace overlooking the ocean. 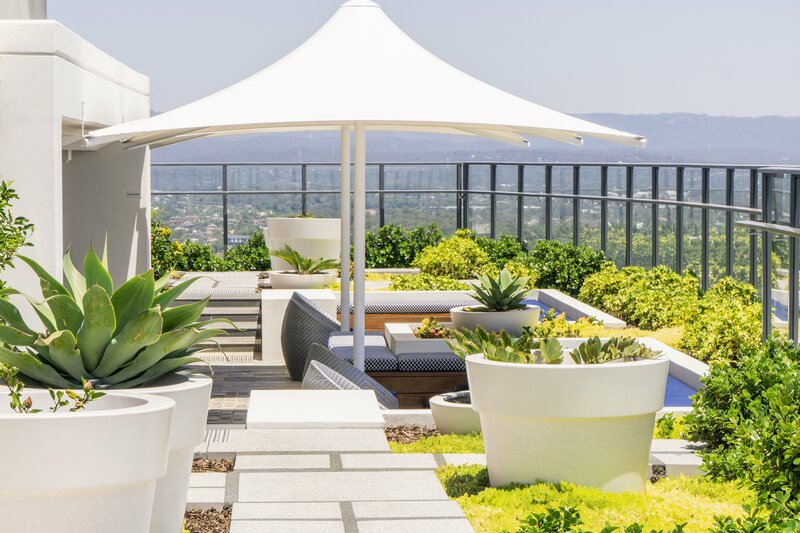 The rooftop of the building, level 41, offers a truly unique experience for the exclusive use of residents & guests, A sky deck communal market garden and private relaxation terraces that offer spectacular ocean views. Each Studio includes a fully equipped state of the art kitchen with gas stovetop, oven, dishwasher, cutlery & crockery. 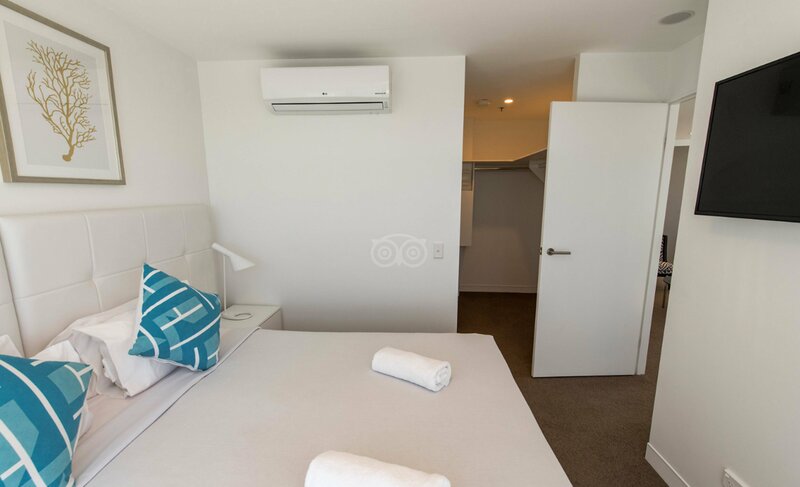 Studio apartments feature a complete laundry, including washing machine and dryer ideal when you're on the road. 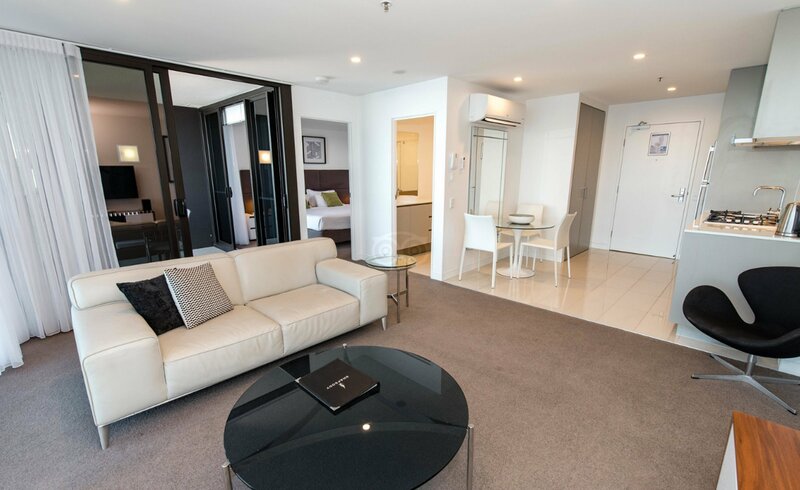 View the sparkling lights of the Gold Coast City and the lush green of the Gold Coast Hinterland from your comfortable Studio. 20% off opening special. Fully self contained apartment. Free carparking, access to club lounge and skydeck located on the 41st level. EXTRAS - 20% discounted rate unlocked. Each Studio includes a fully equipped state of the art kitchen with gas stovetop, oven, dishwasher, cutlery & crockery. 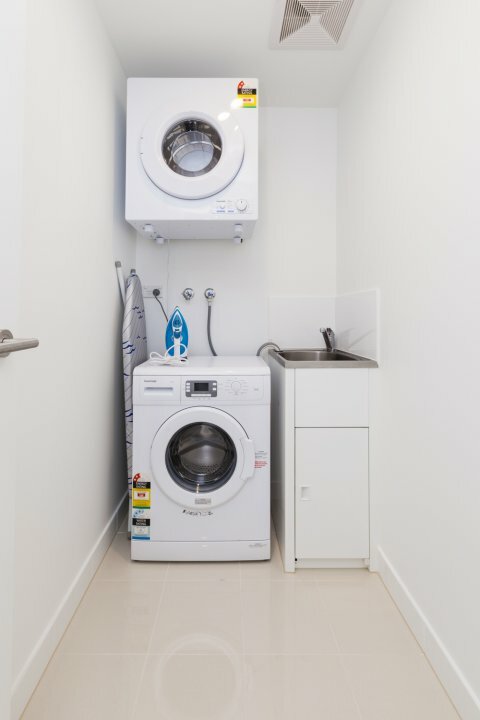 Studio apartments feature a complete laundry, including washing machine and dryer ideal when you're on the road. 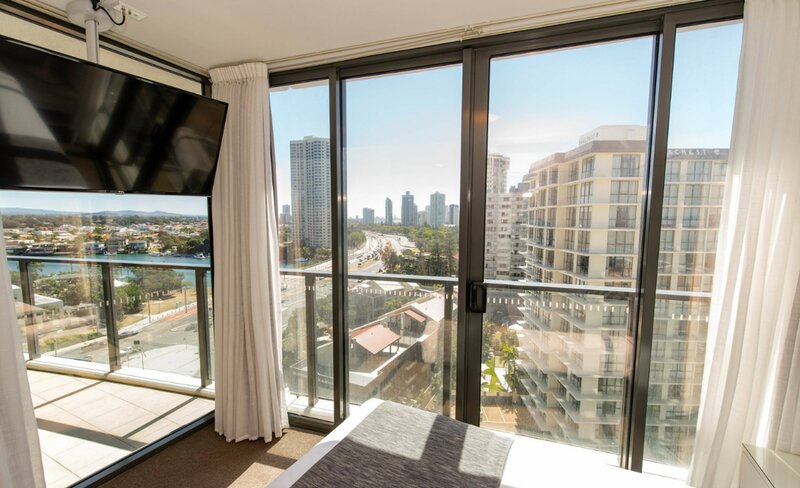 View the sparkling lights of the Gold Coast City and the lush green of the Gold Coast Hinterland from your comfortable Studio. Queen Bed Only 1 undercover secure car space included, Rates are for 2 people, max 2 - min 2 night stay. 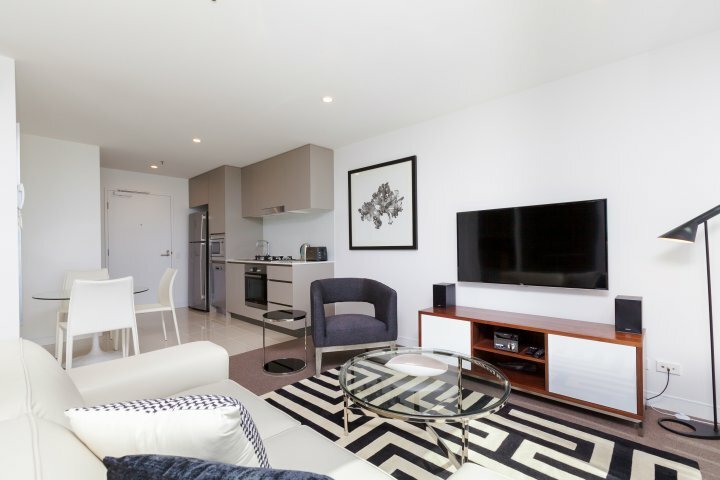 These self-contained apartments are a home away from home offering 51 square metres of modern living, with separate bedroom, living room, kitchen and laundry. Each apartment includes a fully equipped state of the art kitchen with gas stove top, oven, dishwasher, pots, pans, crockery & cutlery. 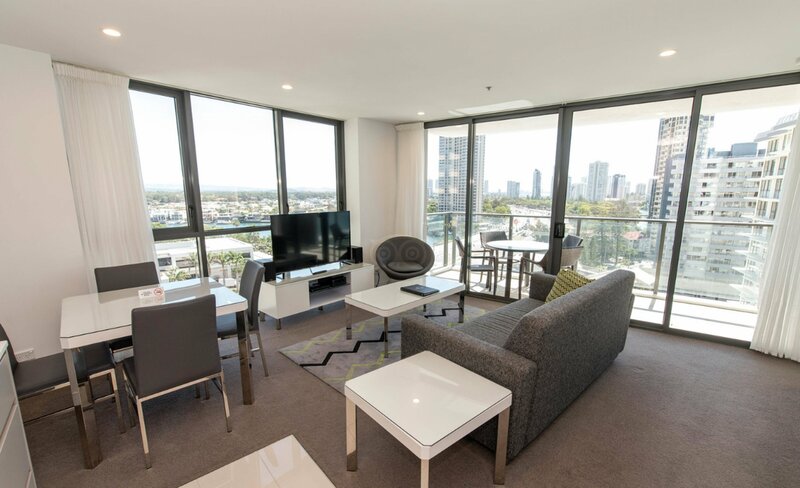 The one bedroom apartments offer a luxury accommodation option on the Gold Coast with everything you need and more, including access to the exclusive rooftop terrace, resort swimming pool, gymnasium and guest lounge on level 27. 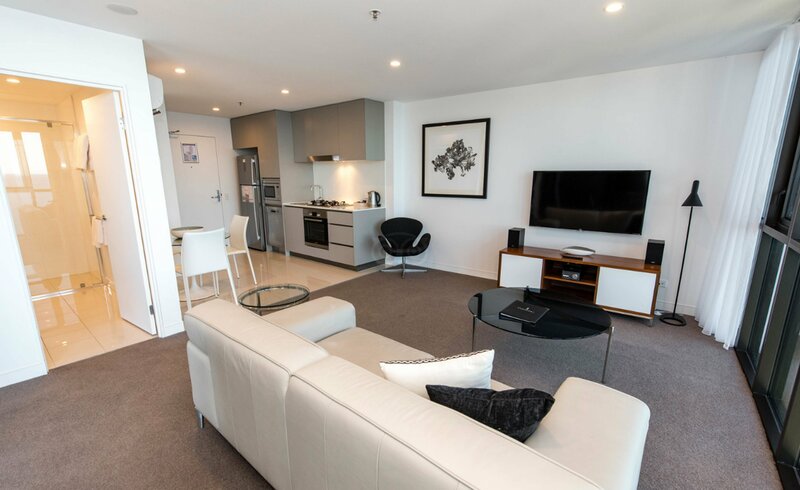 EXTRAS - 20% discounted rate unlocked, These self-contained apartments are a home away from home offering 51 square metres of modern living, with separate bedroom, living room, kitchen and laundry. Each apartment includes a fully equipped state of the art kitchen with gas stove top, oven, dishwasher, pots, pans, crockery & cutlery. 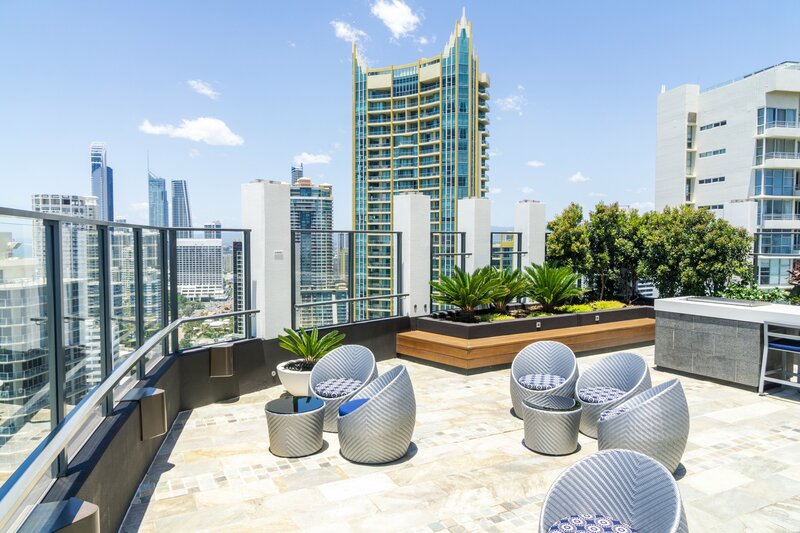 The one bedroom apartments offer a luxury accommodation option on the Gold Coast with everything you need and more, including access to the exclusive rooftop terrace, resort swimming pool, gymnasium and guest lounge on level 27. Rates are for 2 people. 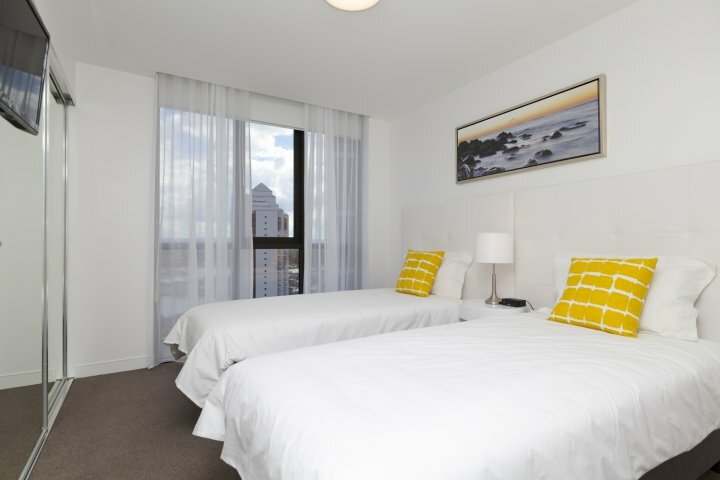 Max 3 with additional bedding added (charges apply) - Min 2 night stay. 1 undercover secure car space included. Stay Longer & Save! 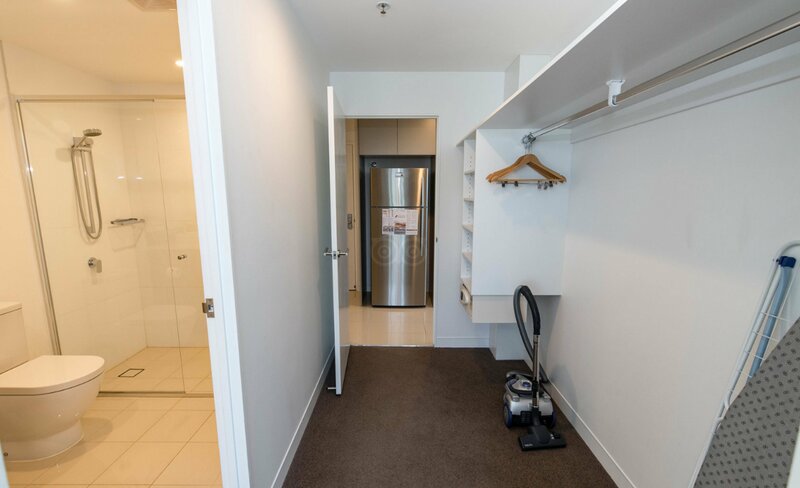 These self-contained apartments are a home away from home offering 51 square metres of modern living, with separate bedroom, living room, kitchen and laundry. 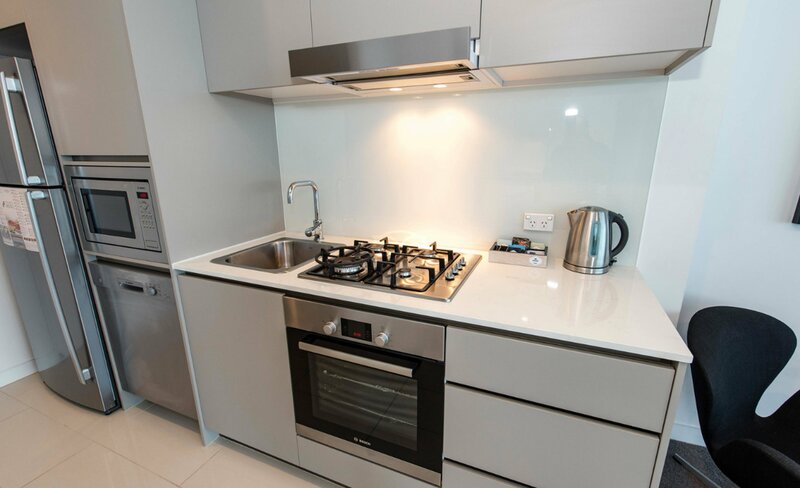 Each apartment includes a fully equipped state of the art kitchen with gas stove top, oven, dishwasher, pots, pans, crockery & cutlery. 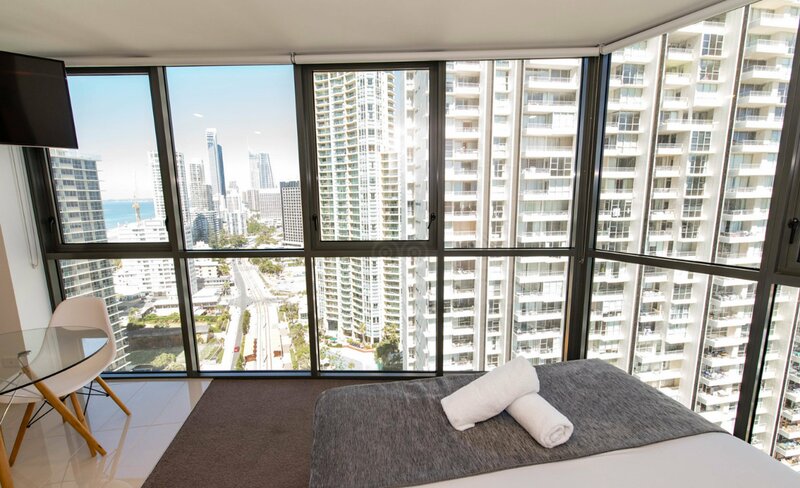 The one bedroom apartments offer a luxury accommodation option on the Gold Coast with everything you need and more, including access to the exclusive rooftop terrace, resort swimming pool, gymnasium and guest lounge on level 27. EXTRAS - 20% discounted rate unlocked. Stay Longer & Save! 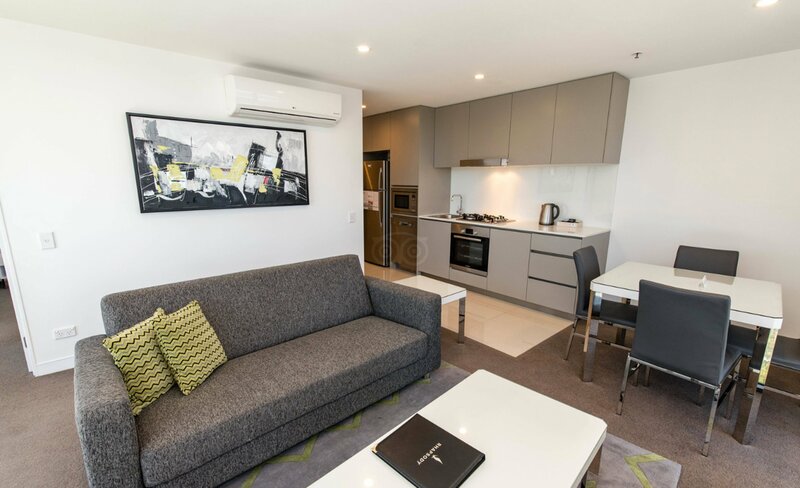 These self-contained apartments are a home away from home offering 51 square metres of modern living, with separate bedroom, living room, kitchen and laundry. Each apartment includes a fully equipped state of the art kitchen with gas stove top, oven, dishwasher, pots, pans, crockery & cutlery. 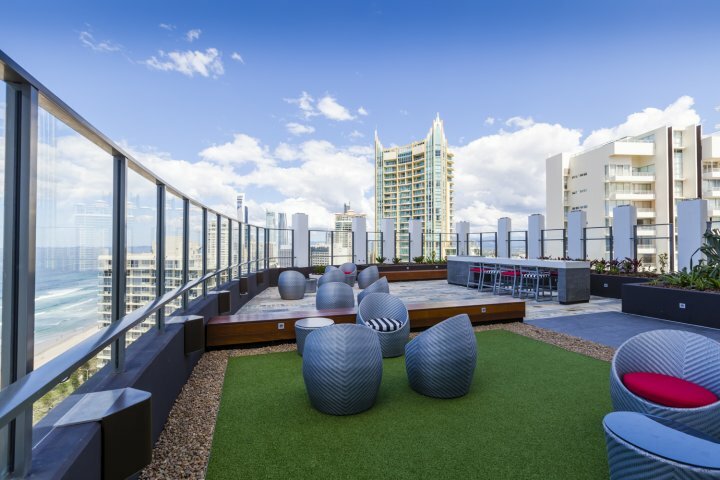 The one bedroom apartments offer a luxury accommodation option on the Gold Coast with everything you need and more, including access to the exclusive rooftop terrace, resort swimming pool, gymnasium and guest lounge on level 27. Rates are for 2 people. 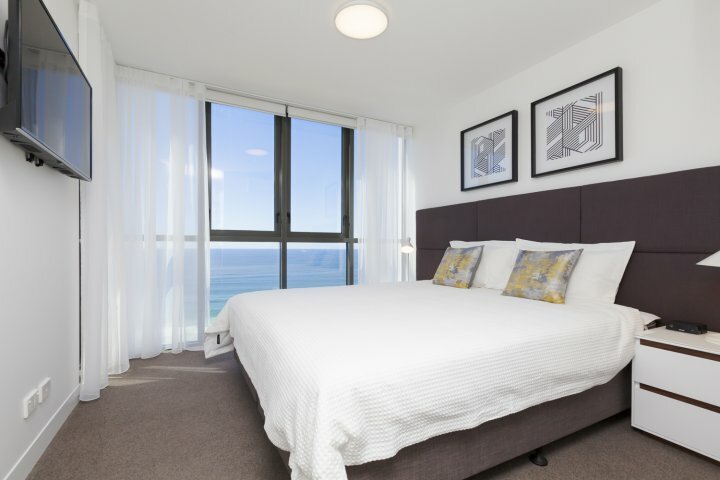 Max 3 with additional bedding added (charges apply) - Min 2 night stay. 1 undercover secure car space included. 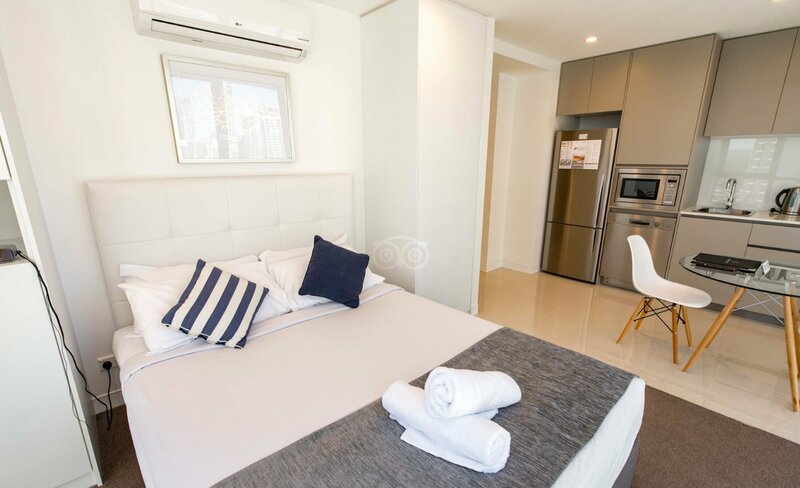 These self-contained apartments are a home away from home offering 51 square metres of modern living, with separate bedroom, living room, kitchen and laundry. 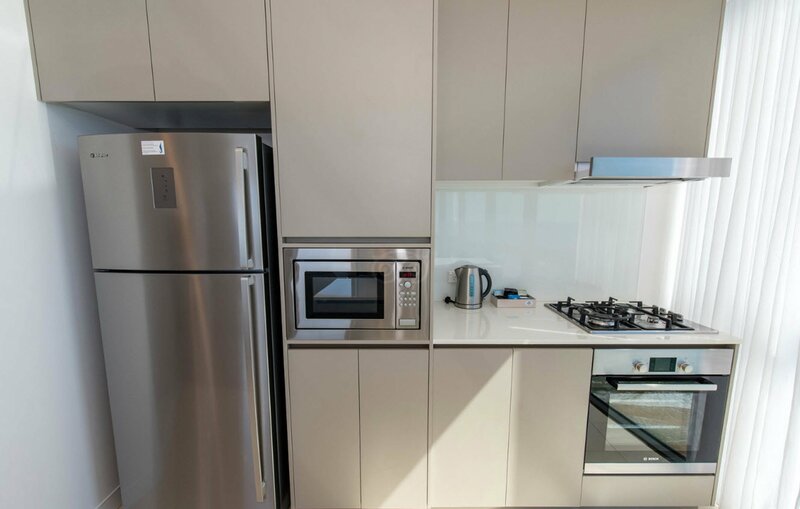 Each apartment includes a fully equipped state of the art kitchen with gas stovetop, oven, dishwasher, pots, pans, crockery & cutlery. 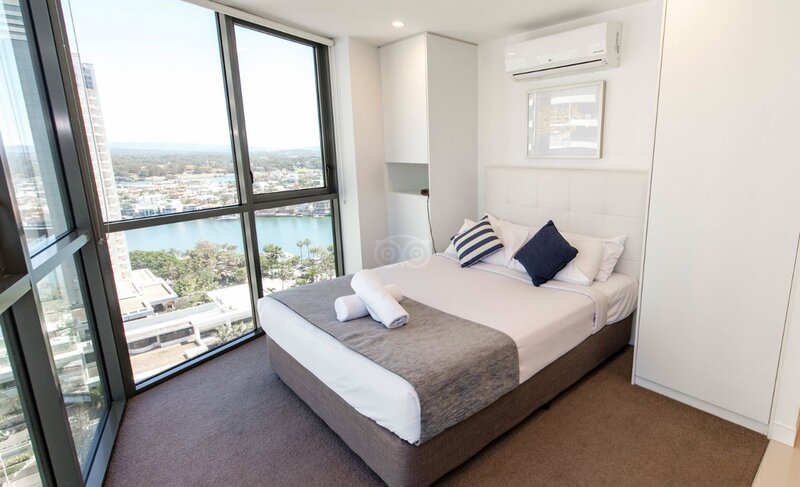 The one bedroom ocean view apartments offer a luxury accommodation option on the Gold Coast with everything you need and more, including access to the exclusive rooftop terrace, resort swimming pool, gymnasium and guest lounge on level 27. EXTRAS - 20% discounted rate unlocked. 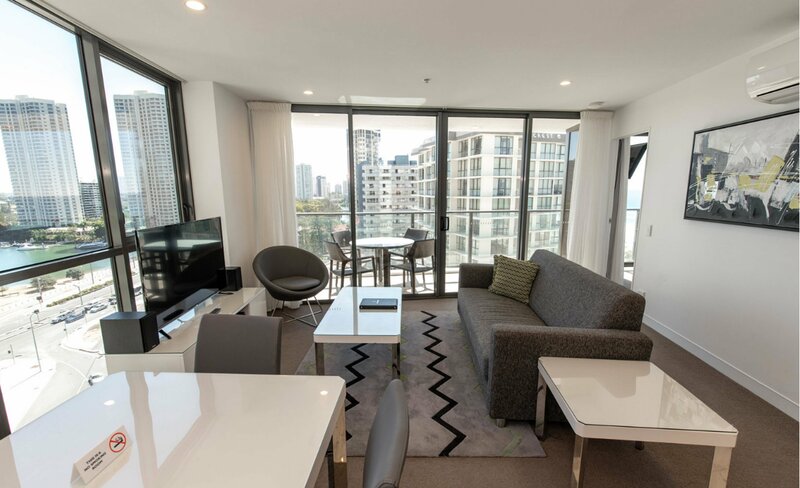 These self-contained apartments are a home away from home offering 51 square metres of modern living, with separate bedroom, living room, kitchen and laundry. 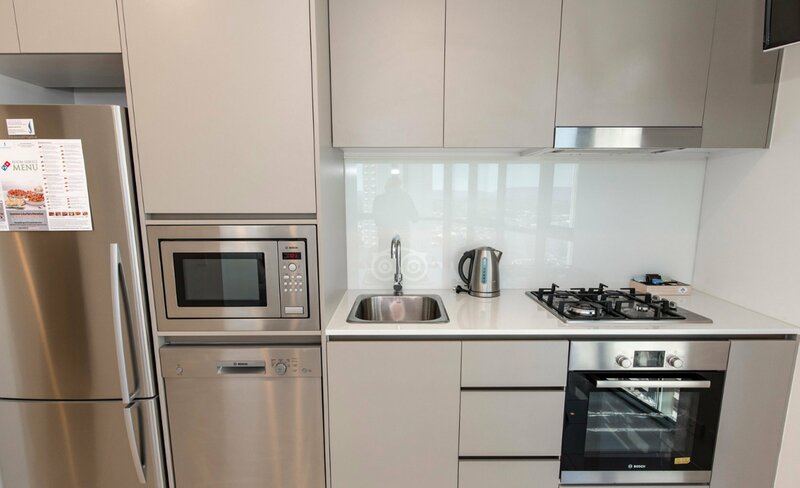 Each apartment includes a fully equipped state of the art kitchen with gas stovetop, oven, dishwasher, pots, pans, crockery & cutlery. 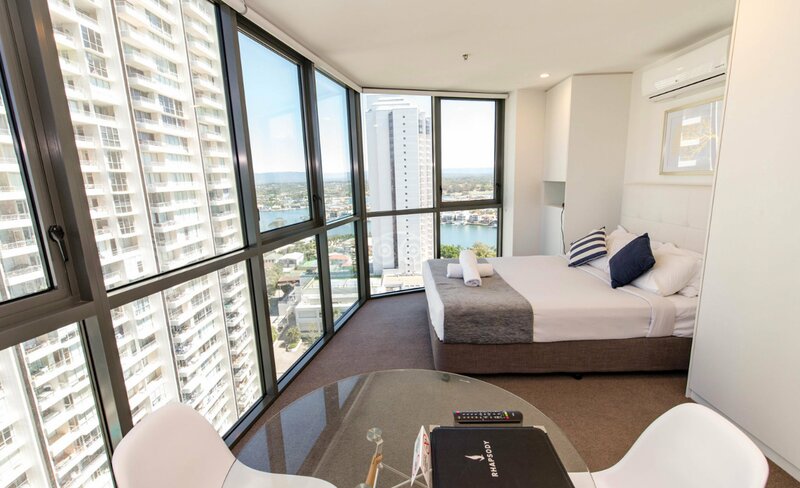 The one bedroom ocean view apartments offer a luxury accommodation option on the Gold Coast with everything you need and more, including access to the exclusive rooftop terrace, resort swimming pool, gymnasium and guest lounge on level 27. Rates are for 2 people. 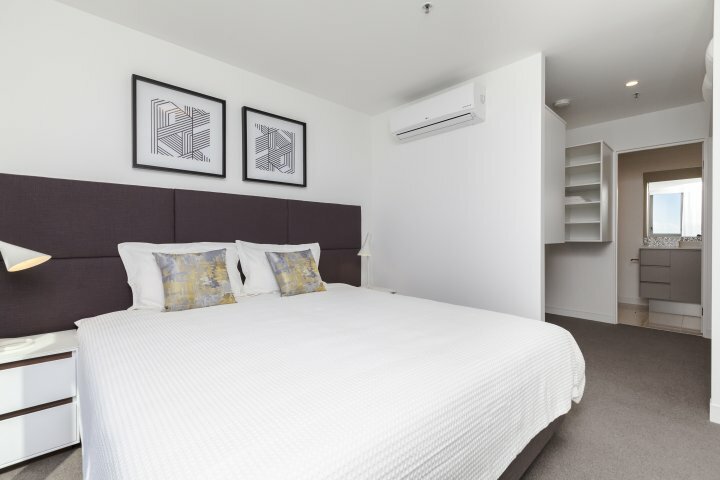 Max 3 with additional bedding added (charges apply) - Min 2 night stay. Stay Longer & Save! 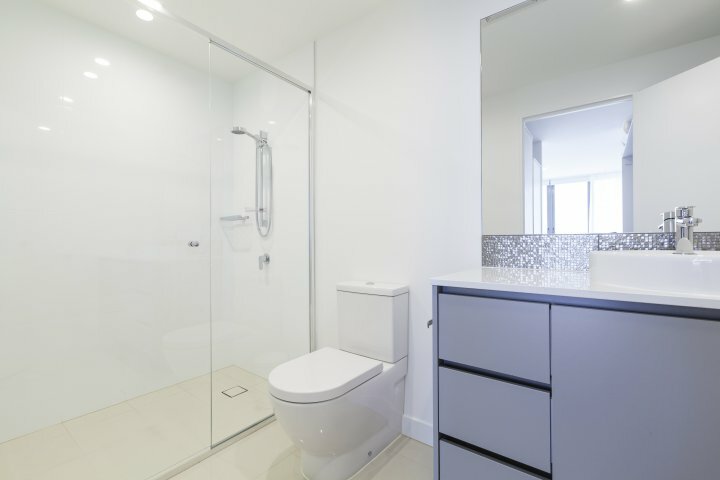 These self-contained apartments are a home away from home offering 51 square metres of modern living, with separate bedroom, living room, kitchen and laundry. 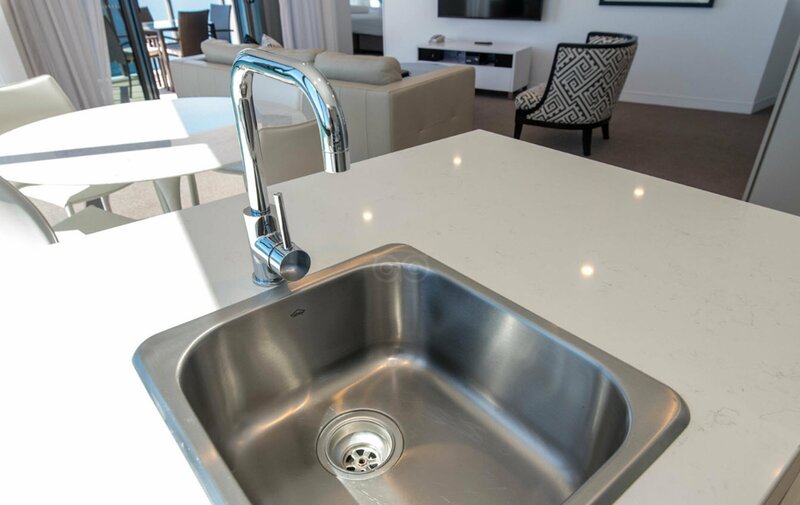 Each apartment includes a fully equipped state of the art kitchen with gas stovetop, oven, dishwasher, pots, pans, crockery & cutlery. 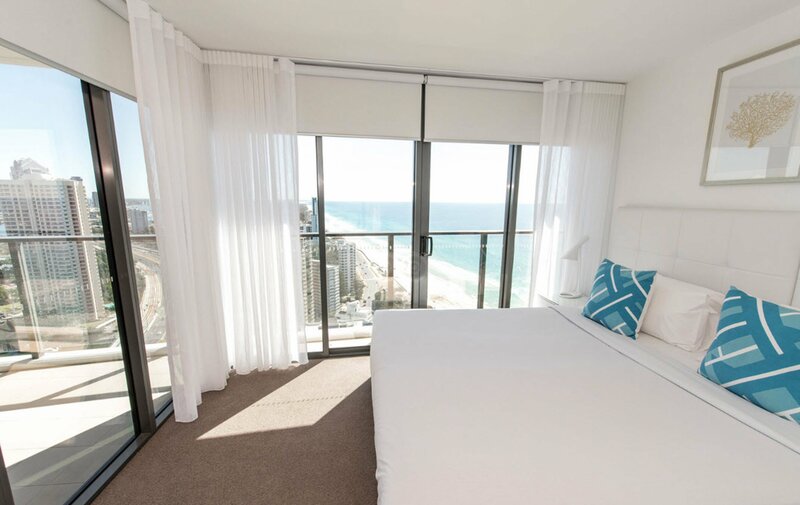 The one bedroom ocean view apartments offer a luxury accommodation option on the Gold Coast with everything you need and more, including access to the exclusive rooftop terrace, resort swimming pool, gymnasium and guest lounge on level 27. EXTRAS - 20% discounted rate unlocked. Stay Longer & Save! 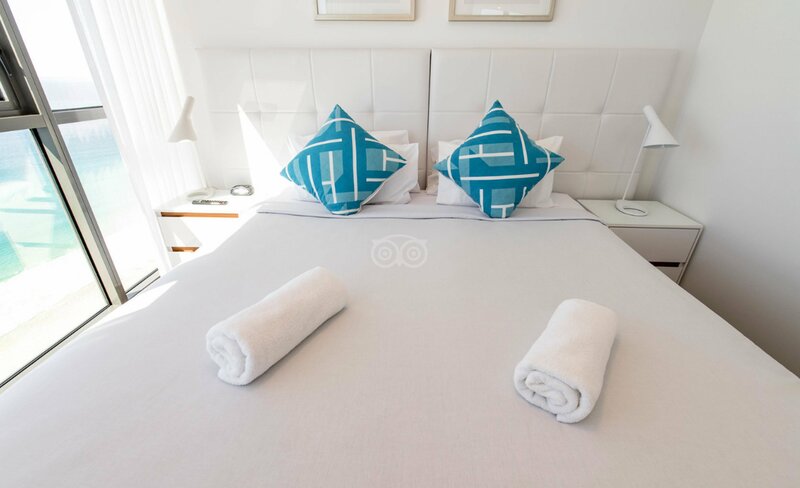 These self-contained apartments are a home away from home offering 51 square metres of modern living, with separate bedroom, living room, kitchen and laundry. 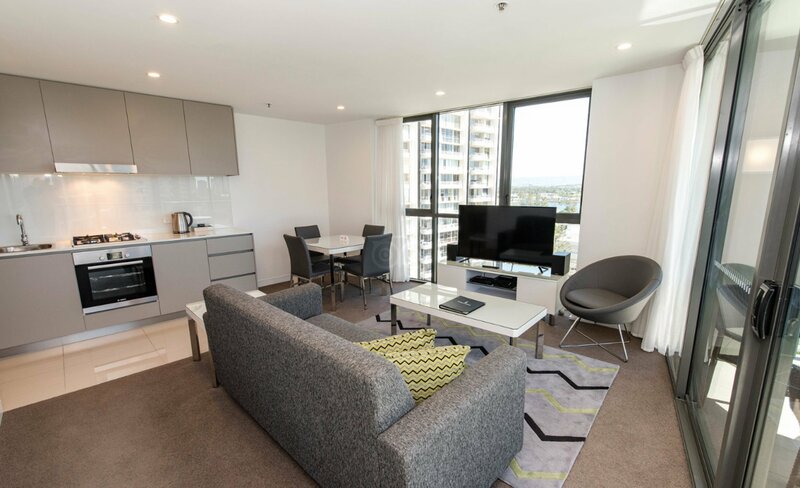 Each apartment includes a fully equipped state of the art kitchen with gas stovetop, oven, dishwasher, pots, pans, crockery & cutlery. 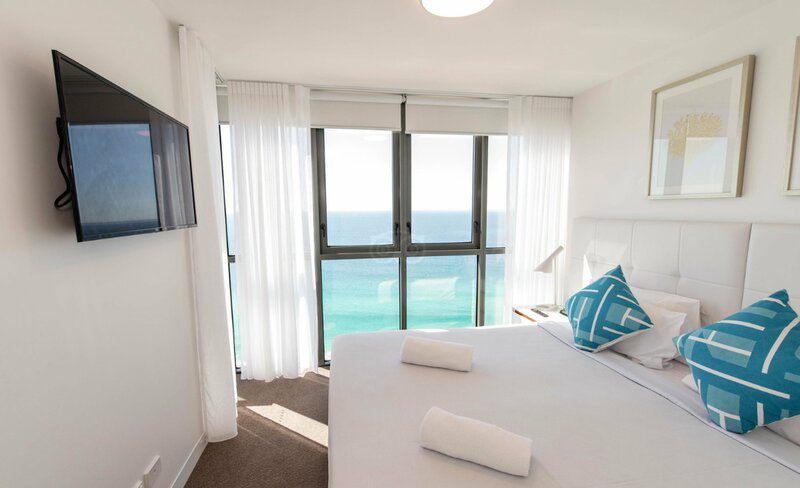 The one bedroom ocean view apartments offer a luxury accommodation option on the Gold Coast with everything you need and more, including access to the exclusive rooftop terrace, resort swimming pool, gymnasium and guest lounge on level 27. Rates are for 2 people. 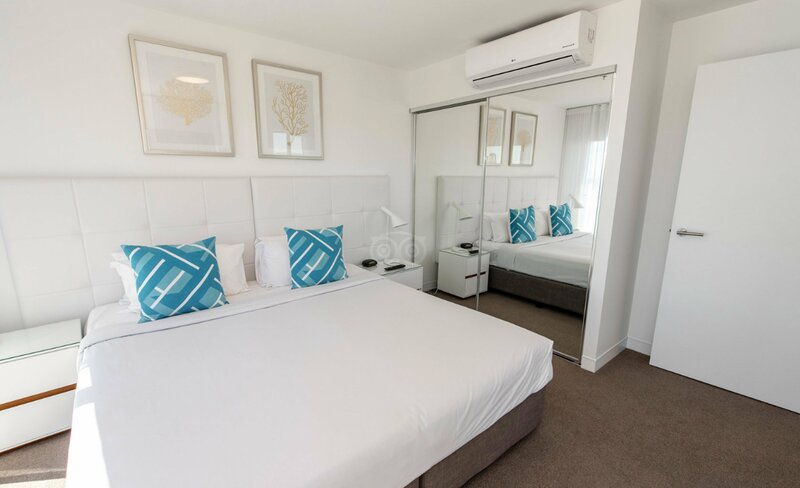 Max 3 with additional bedding added (charges apply) - Min 3 night stay. 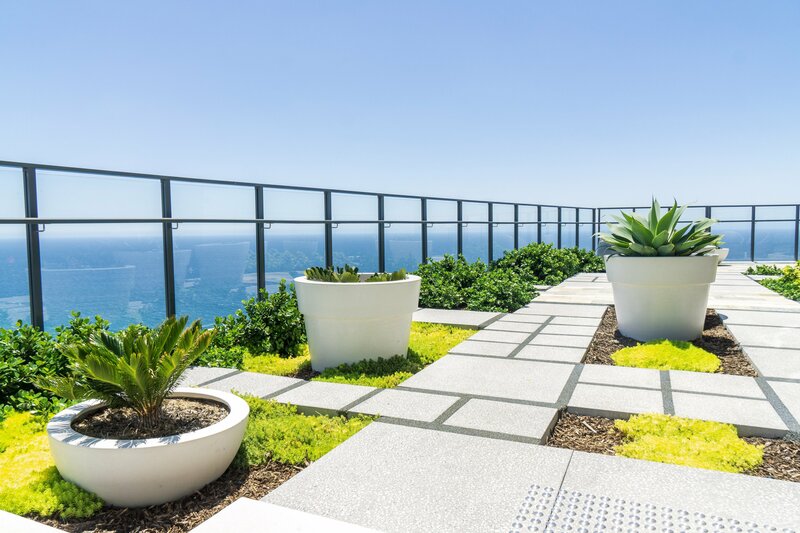 Guaranteed high floor level 20+ with panoramic ocean views. The large open plan two bedroom apartments enjoy spectacular uninterrupted views, with natural daylight streaming in through the stunning floor to ceiling glass wall. 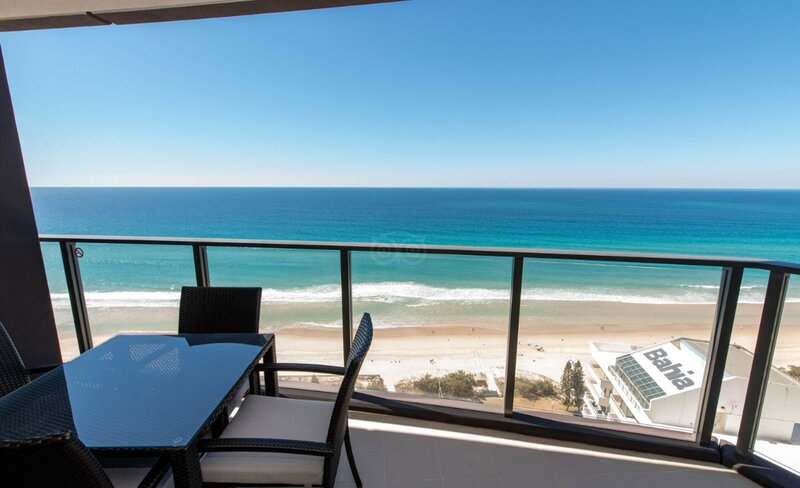 The two bedroom ocean view apartments offer absolute luxury accommodation option on the Gold Coast with everything you need and more, including access to the exclusive rooftop terrace, resort swimming pool, gymnasium and guest lounge on level 27. This is it when it comes to a home away from home, you really will have it all. EXTRAS - 20% discounted rate unlocked. 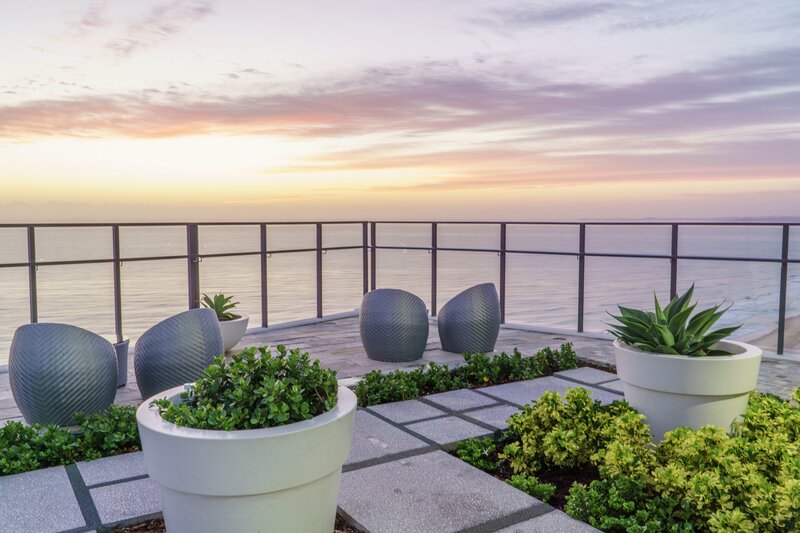 Guaranteed high floor level 20+ with panoramic ocean views. The large open plan two bedroom apartments enjoy spectacular uninterrupted views, with natural daylight streaming in through the stunning floor to ceiling glass wall. 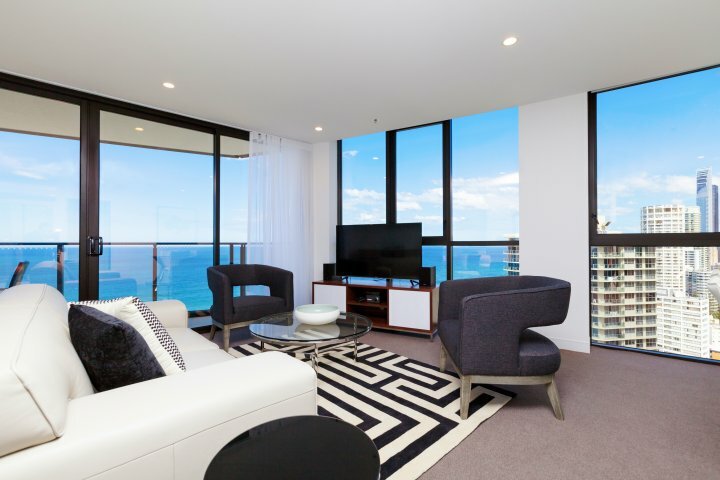 The two bedroom ocean view apartments offer absolute luxury accommodation option on the Gold Coast with everything you need and more, including access to the exclusive rooftop terrace, resort swimming pool, gymnasium and guest lounge on level 27. This is it when it comes to a home away from home, you really will have it all. Rates are for 4 people. 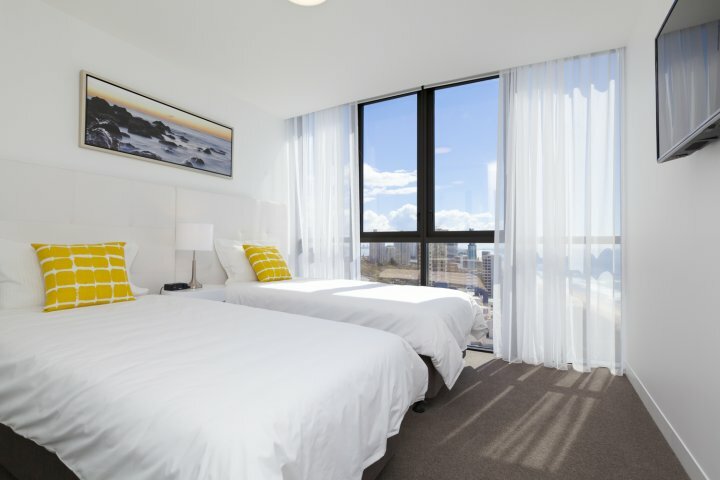 Max 5 with additional bedding added (charges apply) - Min 2 night stay. Stay Longer & Save! 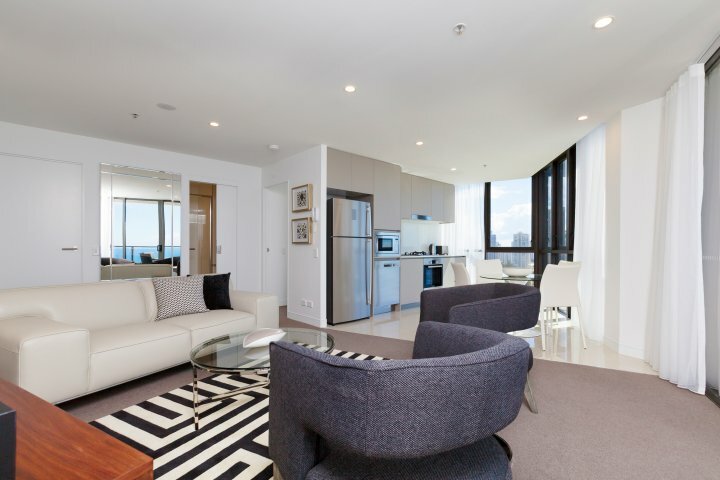 Guaranteed high floor level 20+ with panoramic ocean views. The large open plan two bedroom apartments enjoy spectacular uninterrupted views, with natural daylight streaming in through the stunning floor to ceiling glass wall. 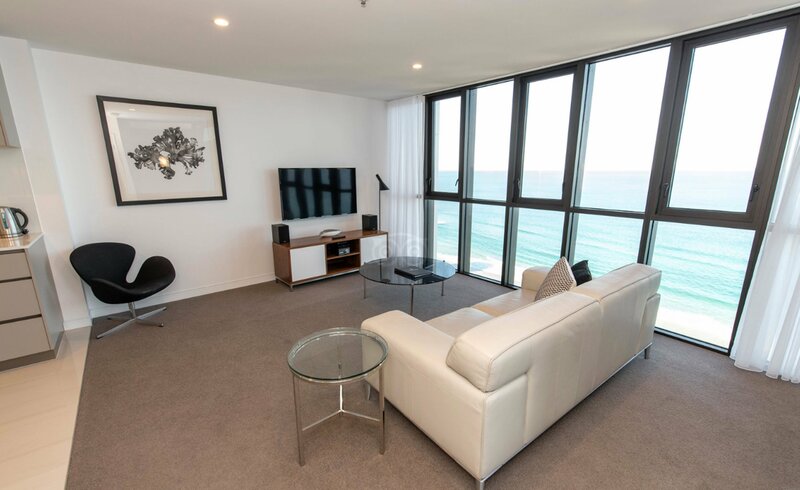 The two bedroom ocean view apartments offer absolute luxury accommodation option on the Gold Coast with everything you need and more, including access to the exclusive rooftop terrace, resort swimming pool, gymnasium and guest lounge on level 27. This is it when it comes to a home away from home, you really will have it all. EXTRAS - 20% discounted rate unlocked. Stay Longer & Save! 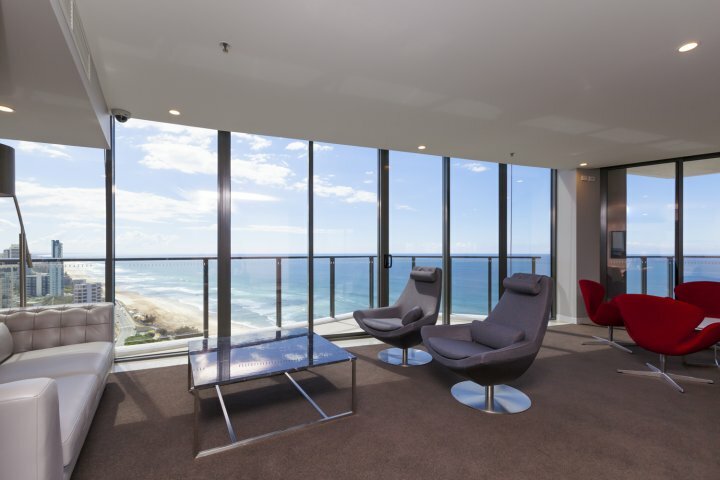 Guaranteed high floor level 20+ with panoramic ocean views. 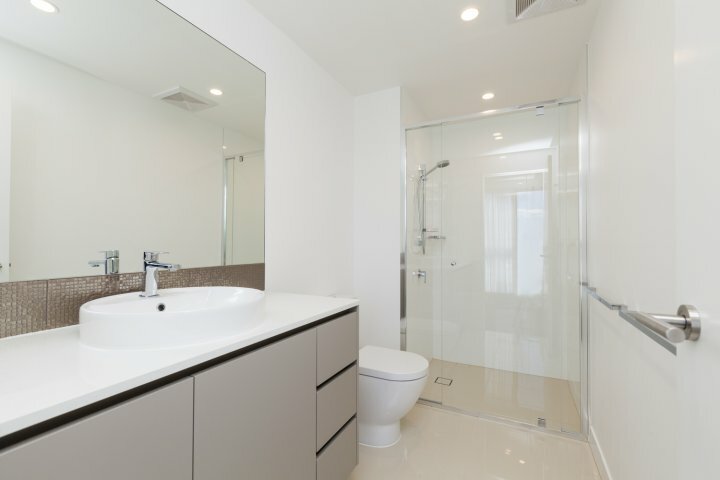 The large open plan two bedroom apartments enjoy spectacular uninterrupted views, with natural daylight streaming in through the stunning floor to ceiling glass wall. 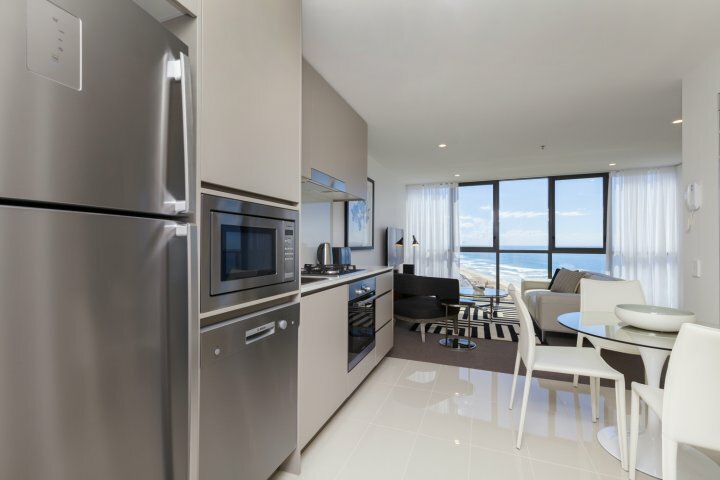 The two bedroom ocean view apartments offer absolute luxury accommodation option on the Gold Coast with everything you need and more, including access to the exclusive rooftop terrace, resort swimming pool, gymnasium and guest lounge on level 27. This is it when it comes to a home away from home, you really will have it all. Rates are for 4 people. 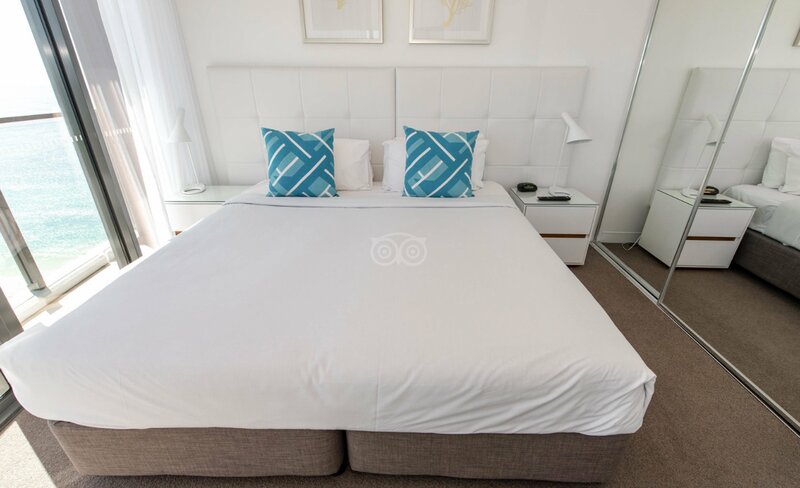 Max 5 with additional bedding added (charges apply) - Min 3 night stay. 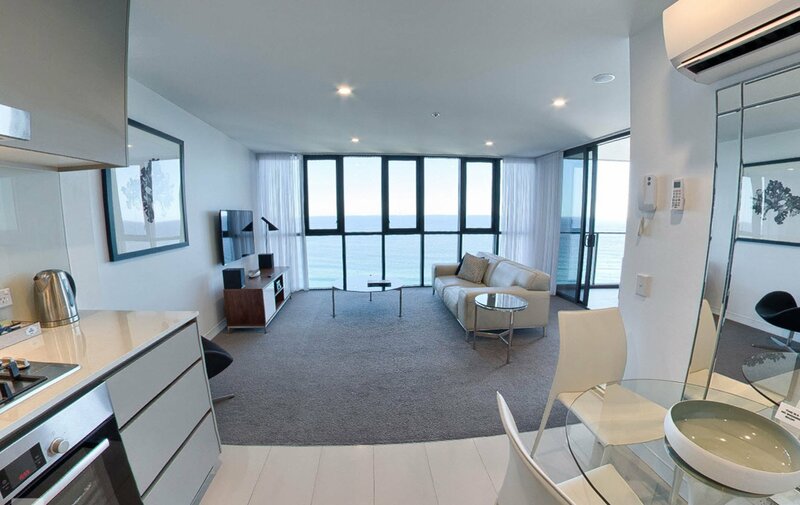 The large open plan two bedroom apartments enjoy spectacular uninterrupted views of the Pacific Ocean, with natural daylight streaming in through the stunning floor to ceiling glass wall. 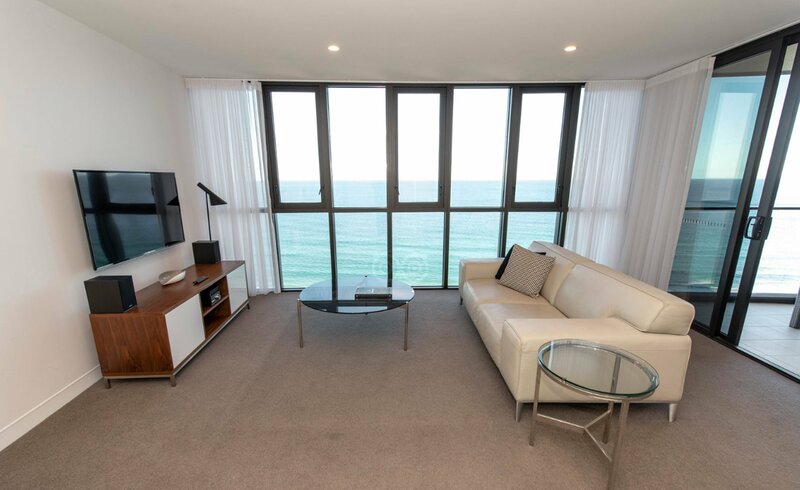 The two bedroom ocean view apartments offer absolute luxury accommodation option on the Gold Coast with everything you need and more, including access to the exclusive rooftop terrace, resort swimming pool, gymnasium and guest lounge on level 27. This is it when it comes to a home away from home, you really will have it all. EXTRAS - 20% discounted rate unlocked. 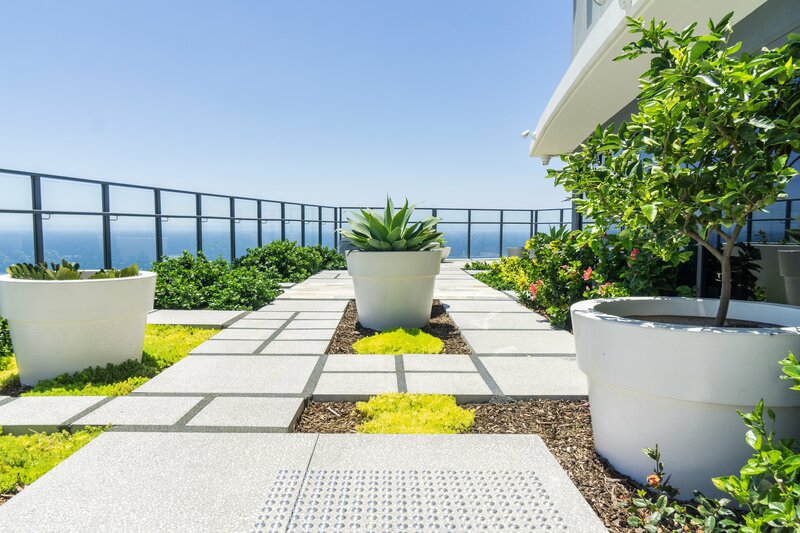 The large open plan two bedroom apartments enjoy spectacular uninterrupted views of the Pacific Ocean, with natural daylight streaming in through the stunning floor to ceiling glass wall. 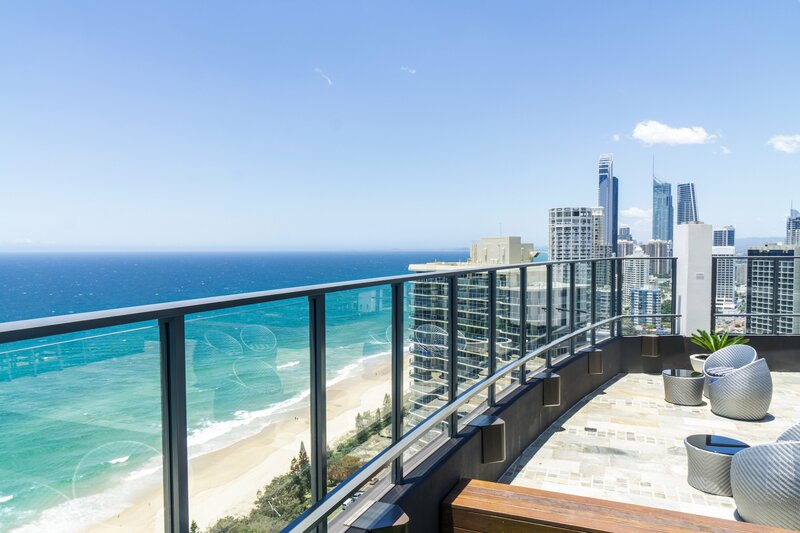 The two bedroom ocean view apartments offer absolute luxury accommodation option on the Gold Coast with everything you need and more, including access to the exclusive rooftop terrace, resort swimming pool, gymnasium and guest lounge on level 27. This is it when it comes to a home away from home, you really will have it all. Rates are for 4 people. Max 5 with additional bedding added (charges apply) - Min 2 night stay. Stay Longer & Save! 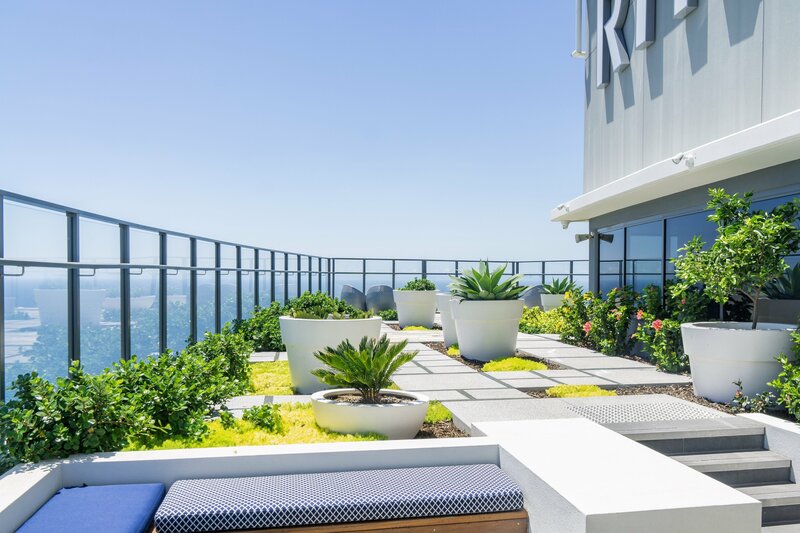 The large open plan two bedroom apartments enjoy spectacular uninterrupted views of the Pacific Ocean, with natural daylight streaming in through the stunning floor to ceiling glass wall. 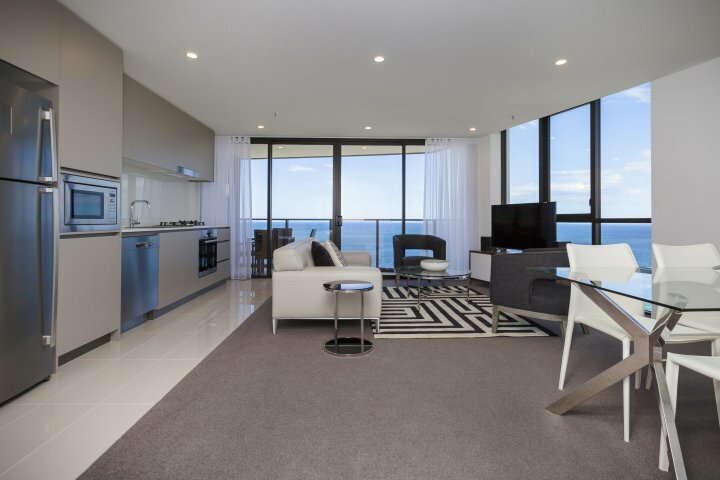 The two bedroom ocean view apartments offer absolute luxury accommodation option on the Gold Coast with everything you need and more, including access to the exclusive rooftop terrace, resort swimming pool, gymnasium and guest lounge on level 27. This is it when it comes to a home away from home, you really will have it all. 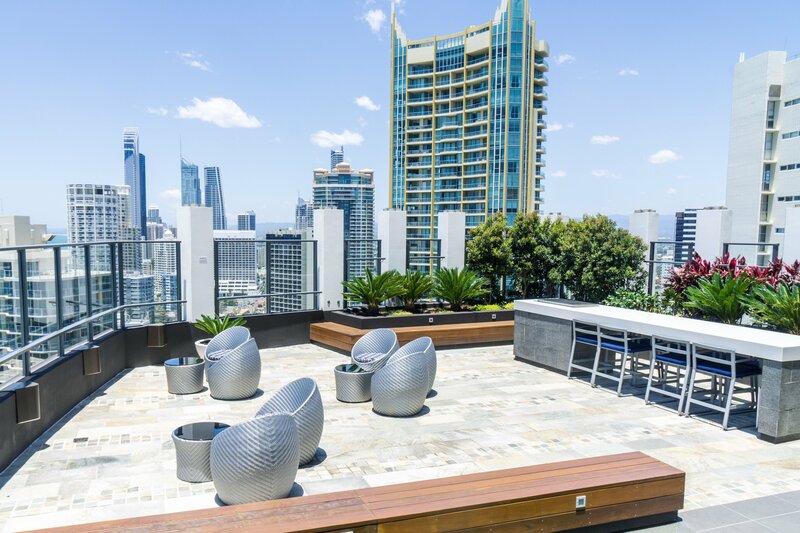 BONUS EXTRAS - 1 x SkyPoint Observation Deck Access for two guests on one day, 1 x Bike Hire for two guests on one day Stay Longer & Save! 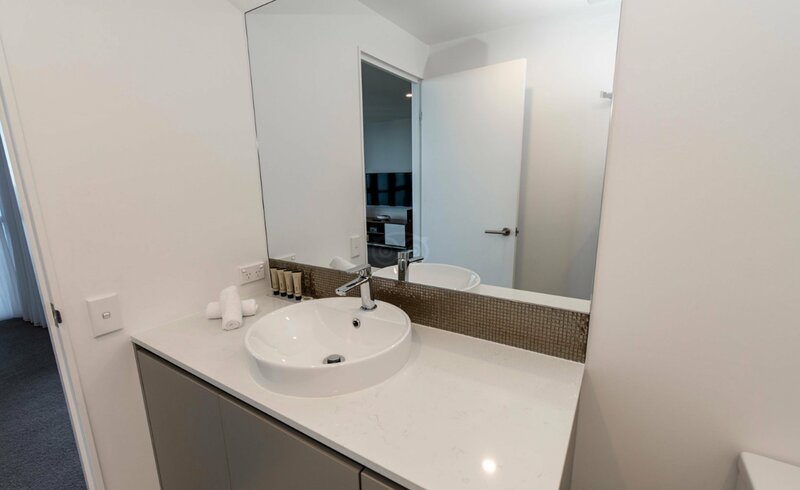 These self-contained apartments are a home away from home offering 51 square metres of modern living, with separate bedroom, living room, kitchen and laundry. Each apartment includes a fully equipped state of the art kitchen with gas stove top, oven, dishwasher, pots, pans, crockery & cutlery. 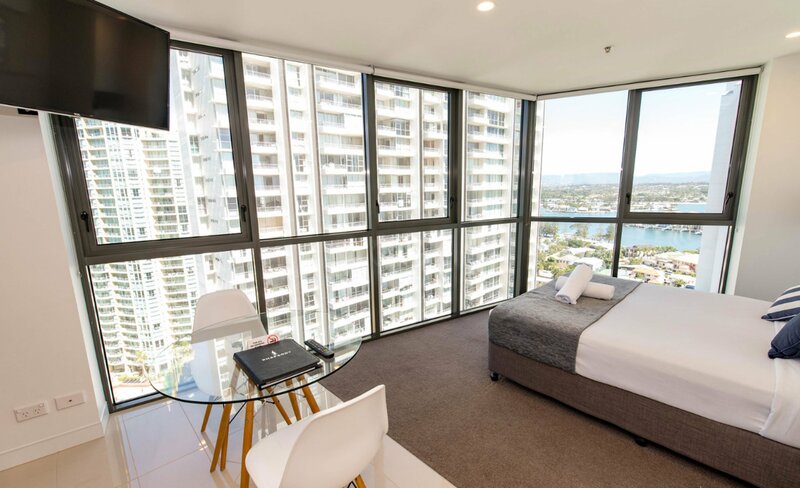 The one bedroom apartments offer a luxury accommodation option on the Gold Coast with everything you need and more, including access to the exclusive rooftop terrace, resort swimming pool, gymnasium and guest lounge on level 27. 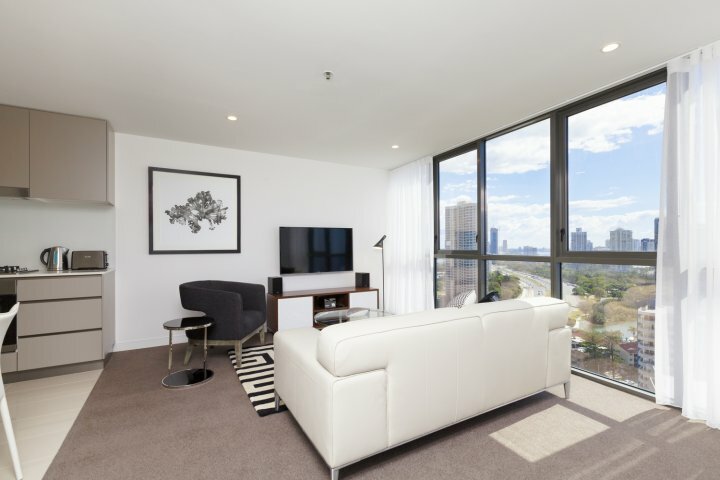 BONUS EXTRAS - 1 x SkyPoint Observation Deck Access for two guests on one day, 1 x Bike Hire for two guests on one day These self-contained apartments are a home away from home offering 51 square metres of modern living, with separate bedroom, living room, kitchen and laundry. Each apartment includes a fully equipped state of the art kitchen with gas stovetop, oven, dishwasher, pots, pans, crockery & cutlery. 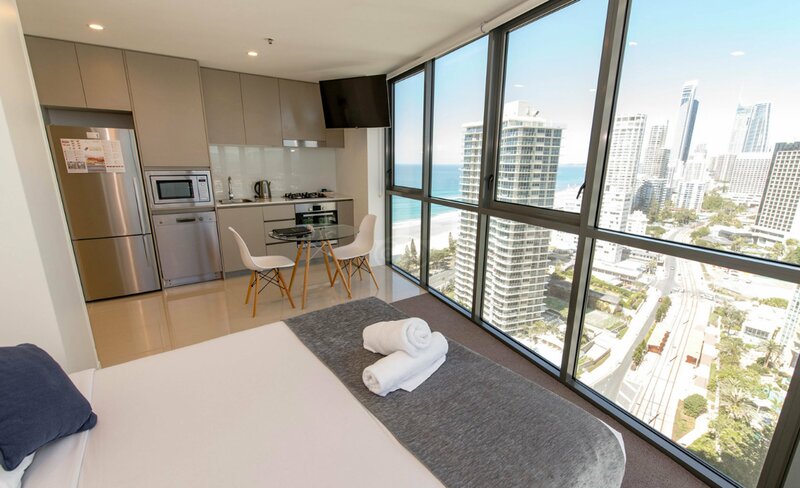 The one bedroom ocean view apartments offer a luxury accommodation option on the Gold Coast with everything you need and more, including access to the exclusive rooftop terrace, resort swimming pool, gymnasium and guest lounge on level 27. 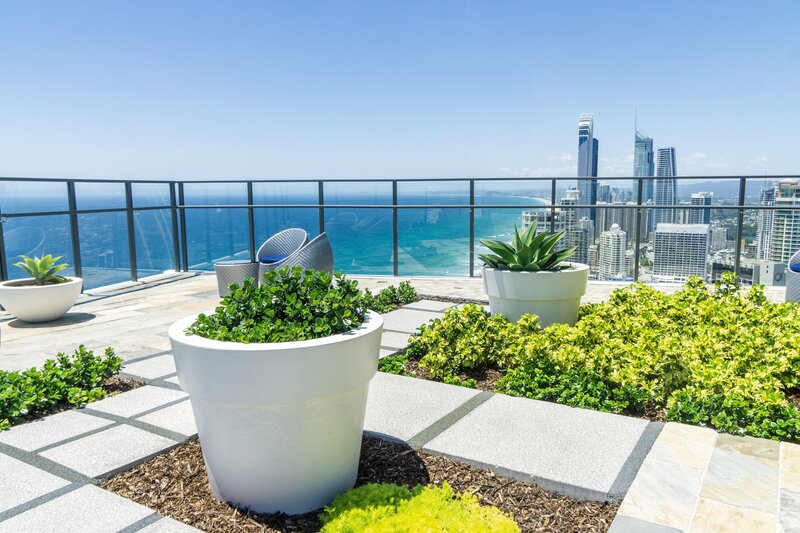 BONUS EXTRAS - 1 x SkyPoint Observation Deck Access for four guests on one day, 1 x Bike Hire for four guests on one day Guaranteed high floor level 20+ with panoramic ocean views. 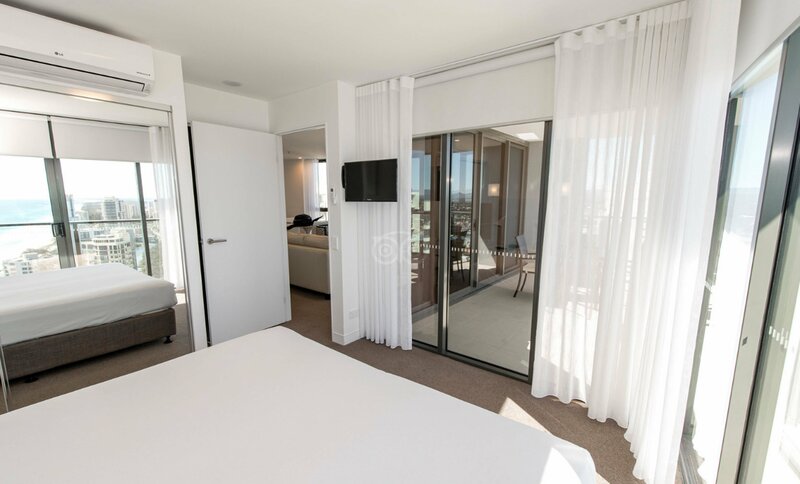 The large open plan two bedroom apartments enjoy spectacular uninterrupted views, with natural daylight streaming in through the stunning floor to ceiling glass wall. 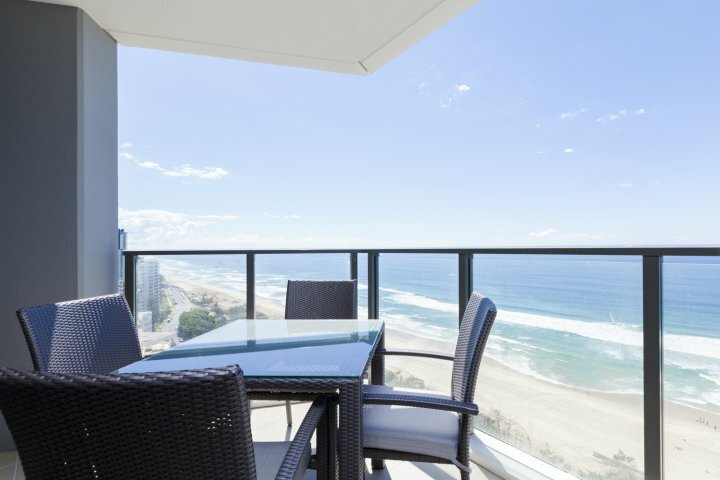 The two bedroom ocean view apartments offer absolute luxury accommodation option on the Gold Coast with everything you need and more, including access to the exclusive rooftop terrace, resort swimming pool, gymnasium and guest lounge on level 27. This is it when it comes to a home away from home, you really will have it all. 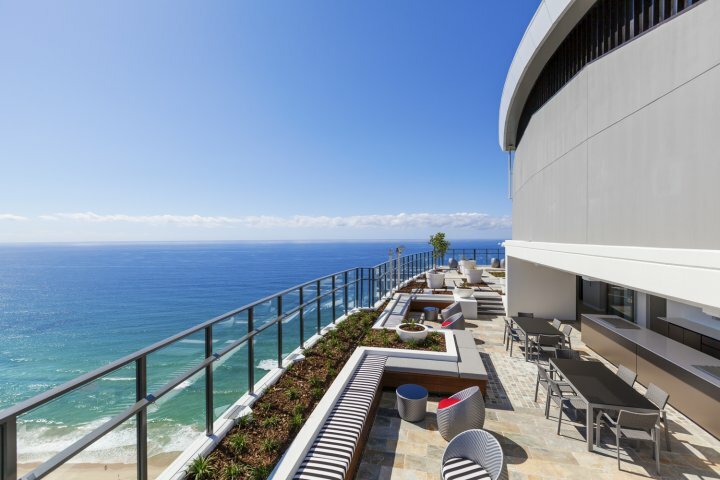 BONUS EXTRAS - 1 x SkyPoint Observation Deck Access for four guests on one day, 1 x Bike Hire for four guests on one day The large open plan two bedroom apartments enjoy spectacular uninterrupted views of the Pacific Ocean, with natural daylight streaming in through the stunning floor to ceiling glass wall. 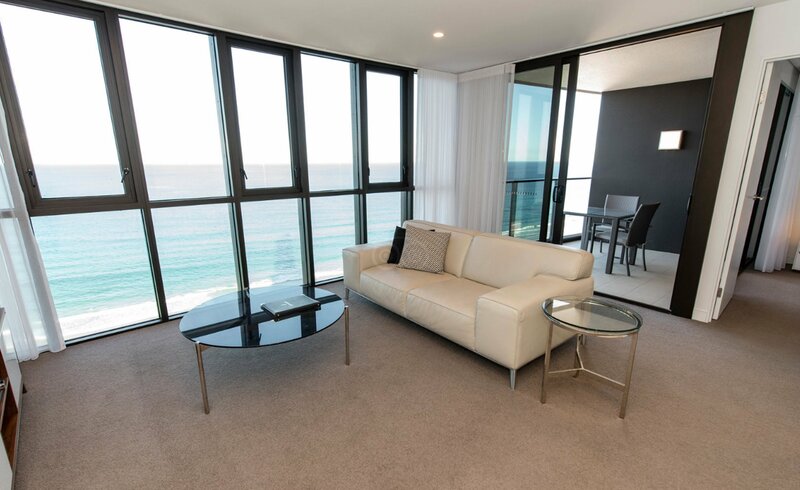 The two bedroom ocean view apartments offer absolute luxury accommodation option on the Gold Coast with everything you need and more, including access to the exclusive rooftop terrace, resort swimming pool, gymnasium and guest lounge on level 27. This is it when it comes to a home away from home, you really will have it all. Benefiting from Hairpin track views and spectacular ocean views. 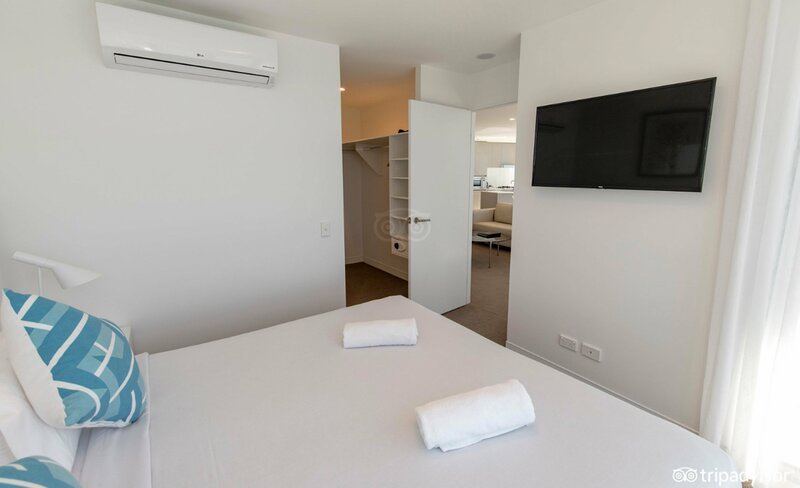 These self-contained apartments are a home away from home offering 51 square metres of modern living, with separate bedroom, living room, kitchen and laundry. Each apartment includes a fully equipped state of the art kitchen with gas stovetop, oven, dishwasher, pots, pans, crockery & cutlery. 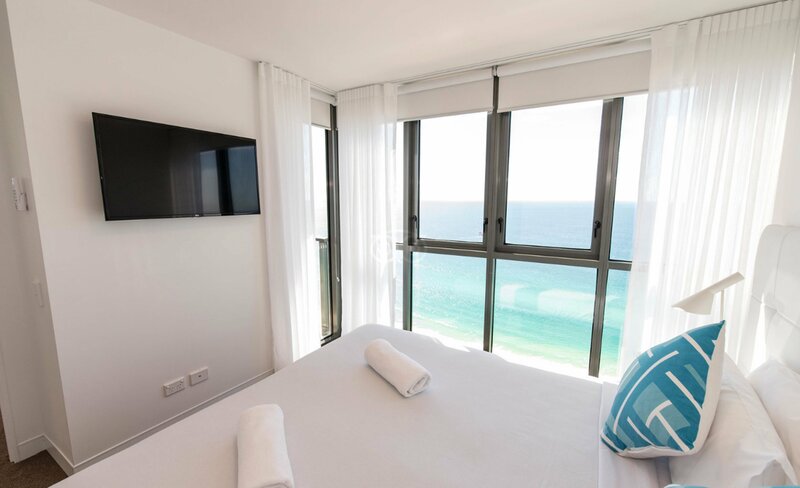 The one bedroom ocean view apartments offer a luxury accommodation option on the Gold Coast with everything you need and more, including access to the exclusive rooftop terrace, resort swimming pool, gymnasium and guest lounge on level 27. 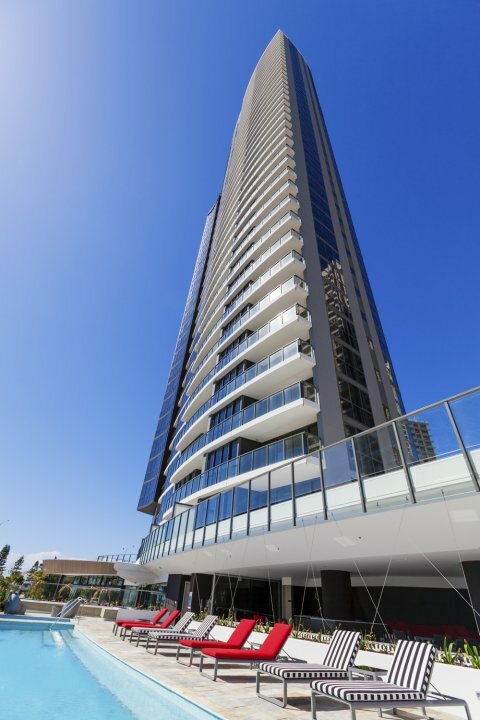 Benefiting from Hairpin track views and the city lights of Surfers Paradise. 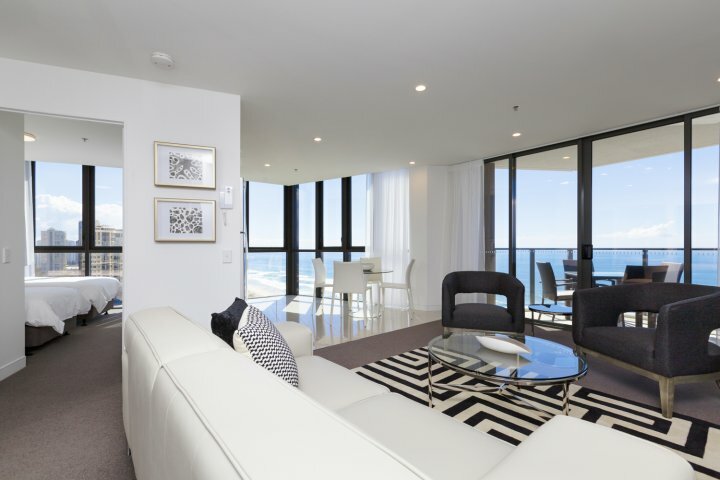 The large open plan two bedroom apartments enjoy spectacular Pacific Ocean views, with natural daylight streaming in through the stunning floor to ceiling glass wall. 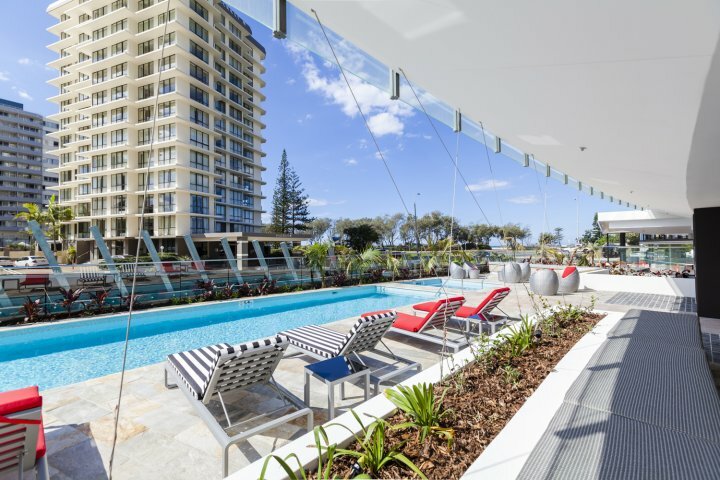 The two bedroom ocean view apartments offer absolute luxury accommodation option on the Gold Coast with everything you need and more, including access to the exclusive rooftop terrace, resort swimming pool, gymnasium and guest lounge on level 27. This is it when it comes to a home away from home, you really will have it all. Stop Sell Rate Plan. Used to stop sell all dates for any mapped rate plan. 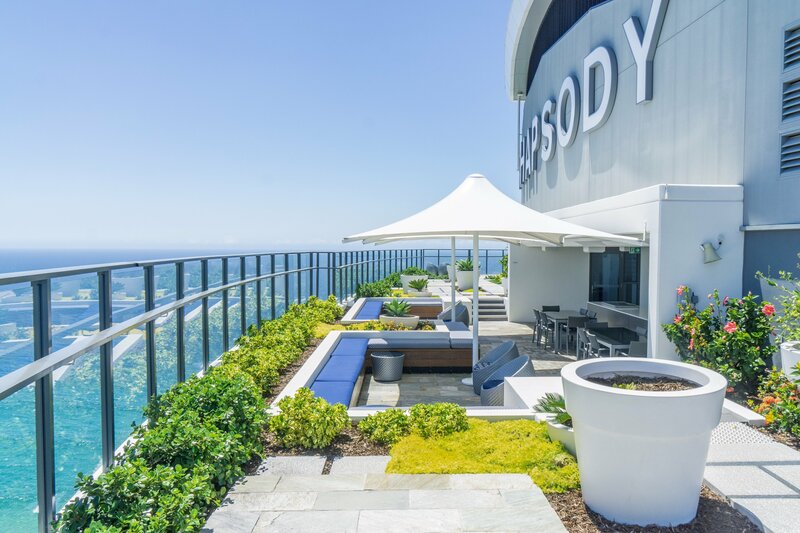 Rhapsody Resort has two conference rooms located on the 27th level, with a superb break out room overlooking Surfers Paradise. You and your team can also enjoy sunset drinks on the skydeck located on the 40th level. A fully equipped gymnasium with the latest exercise machines. Rhapsody Resort offers 3 levels of underground security car parking. On arrival you will be provided with an access card Car Parking is included in your rate. 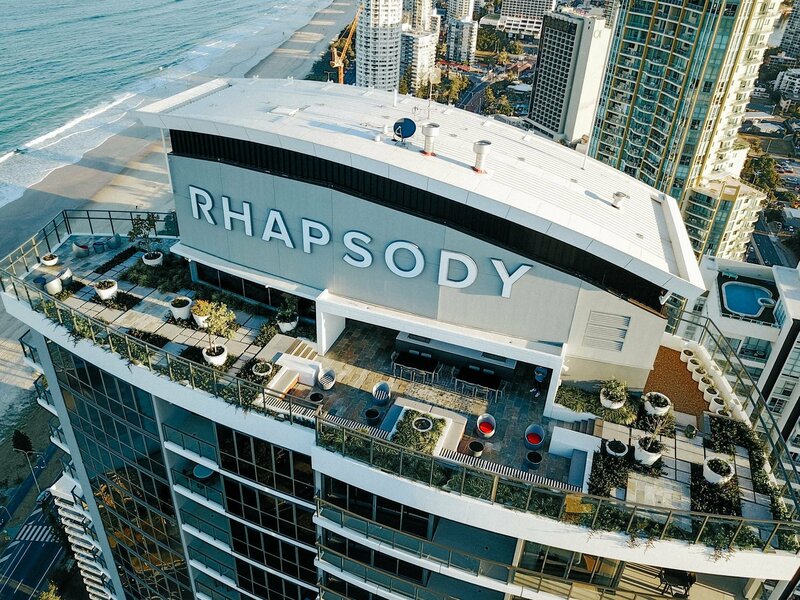 Located across from the beach in Surfers paradise, The tram station is only 100 meters from Rhapsody's door step and offers the very best accessibility to Surfers Paradise, Broadbeach and Main Beach. 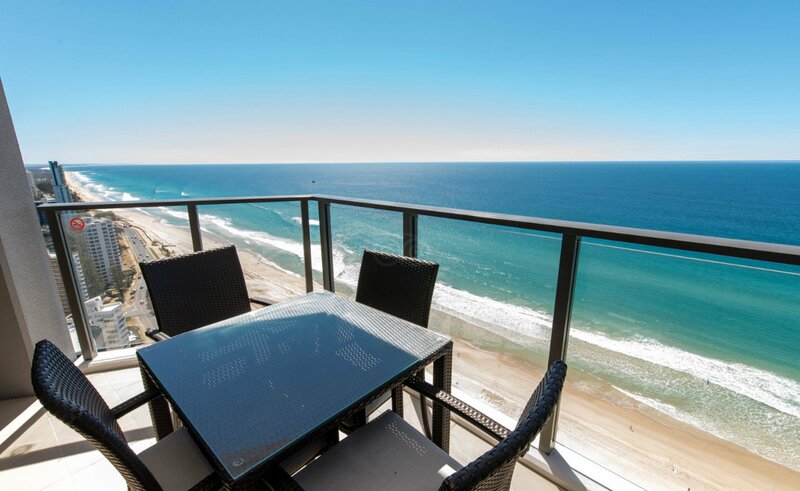 Nestled perfectly between Surfers Paradise and Main Beach, embrace the Gold Coast lifestyle and the great outdoors, head out and whether you turn left or right you will be spoilt for choice, with an array of beautiful beachfront cafe, bars and award winning restaurants. We embrace local - eat local, stay local, play local, with a thriving community and a fast growing foodie culture, experience the culinary delights the Gold Coast has to offer. 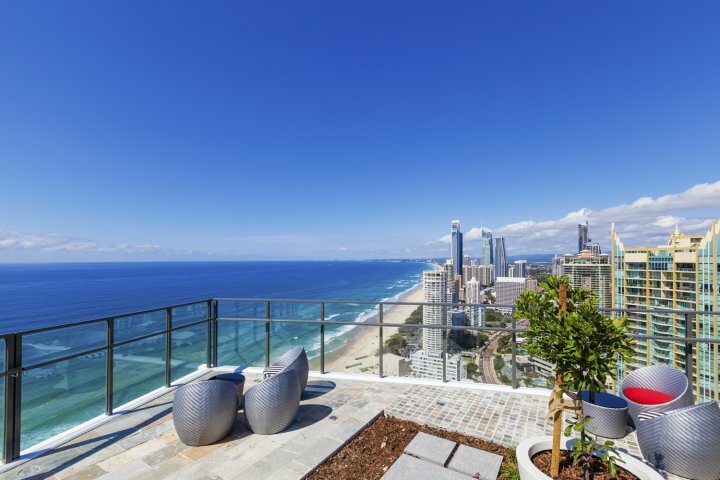 Take a short stroll down the esplanade, taking in the stunning Gold Coast landscape, until you come across the bright, hustle and bustle of Surfers Paradise lined with cafes and shops, everything from boutique breakfast cafes, juice bars and bakeries, to surf clubs, local restaurants and sports bars. The options are endless. 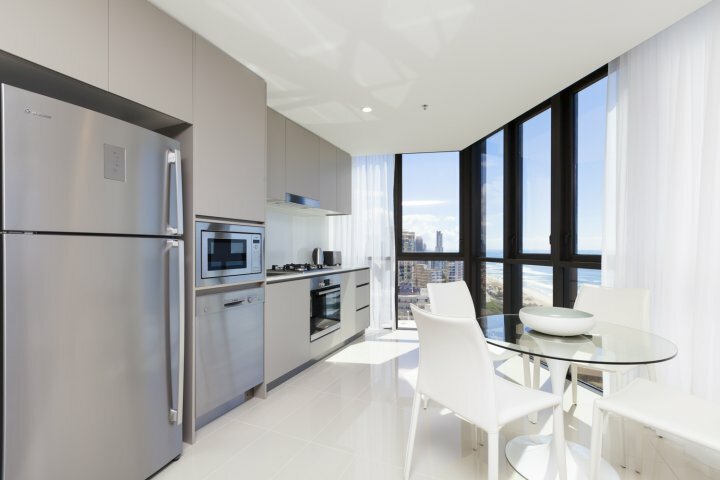 Surfers Paradise and Main Beach host an array of cool casual cafes, high end, award winning restaurants and are home to the good old holiday classics, Petes Famous Fish & Chip Shop and the iconic Cold Rock Ice Creamery. The precincts culinary diversity makes it a dining attraction for Gold Coast locals, foodies, holidaymakers and seaside strollers alike. Step on and step off the Gold Coast Light Rail (GLink) located out the front of the property. 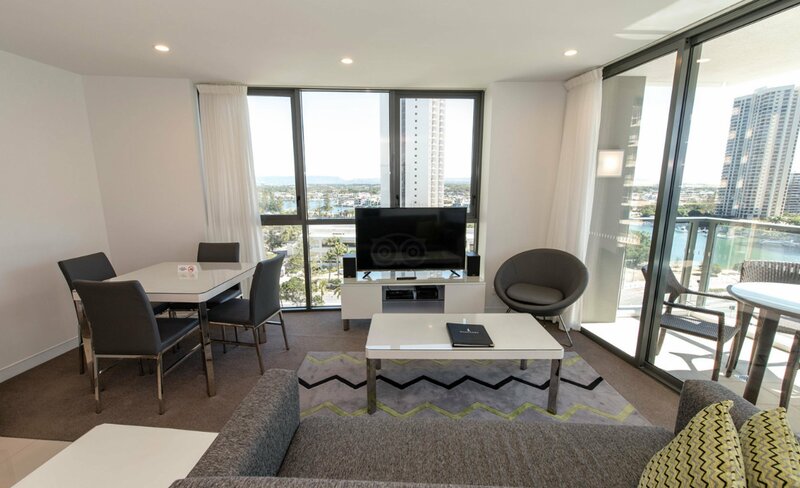 Connecting Surfers paradise to the Pacific Fair shopping centre and Star Casino to the South and Helensvale train station to the North with 19 stops and over 20 kilometres of track. Connecting Q1 with Brisbane City and Brisbane Airport.